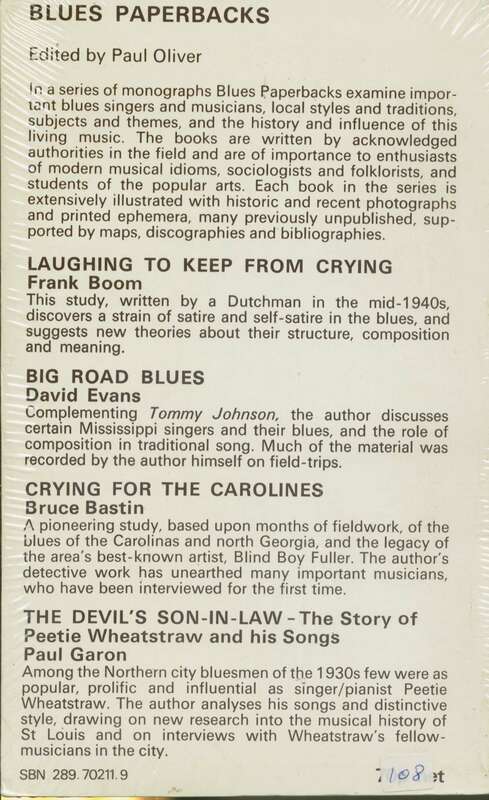 In a series of monographs Blues Paperbacks examine impor-tant blues singers and musicians, local styles and traditions, subjects and themes, and the history and influence of this living music. The books are written by acknowledged authorities in the field and are of importance to enthusiasts of modern musical idioms, sociologists and folklorists, and students of the popular arts. Each book in the series is extensively illustrated with historic and recent photographs and printed ephemera, many previously unpublished, sup-ported by maps, discographies and bibliographies. 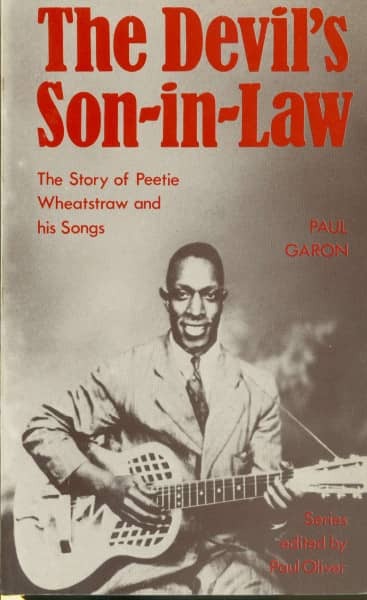 THE DEVIL'S SON-IN-LAW -The Story of Peetie Wheatstraw and his Songs Paul Garon Among the Northern city bluesmen of the 1930s few were as popular, prolific and influential as singer/pianist Peetie Wheatstraw. The author analyses his songs and distinctive style, drawing on new research into the musical history of St Louis and on interviews with Wheatstraw's fellow-musicians in the city. Customer evaluation for "The Devil's Son-In-Law - The Story Of Peetie Wheatstraw And His Songs"